For better organization at your pitch: the PAW rigging plate by Petzl! The plate allows you to set up complex pitch constructions, as can often be found on big wall missions. 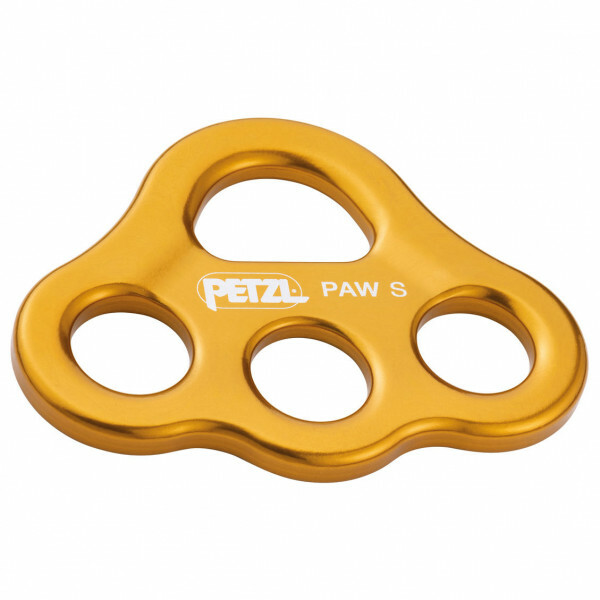 But the PAW can also be well used for the construction of ropeways, high-altitude work or similar applications that require a connection with many belay points. The plate allows you to maintain an overview of your pitch and keep things organized. It has a great breaking load in all directions and is made of lightweight aluminum. 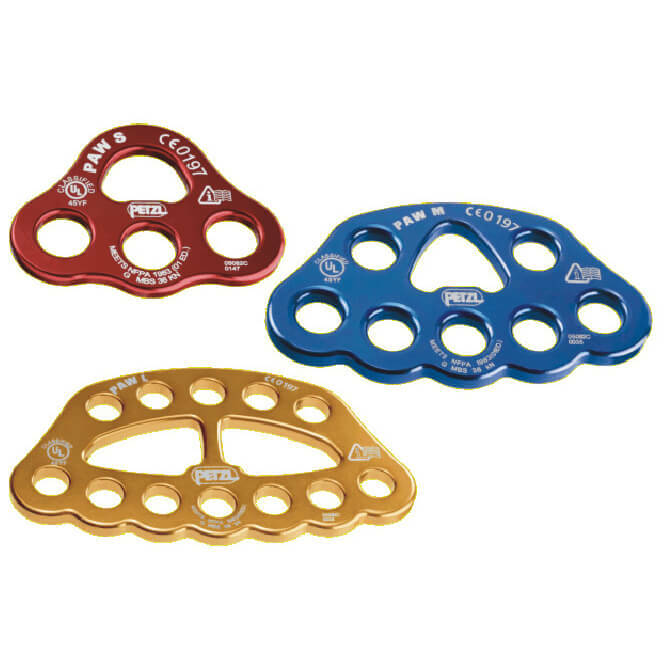 Practical accessories for ambitious missions - the PAW rigging plate is worth its weight in gold.